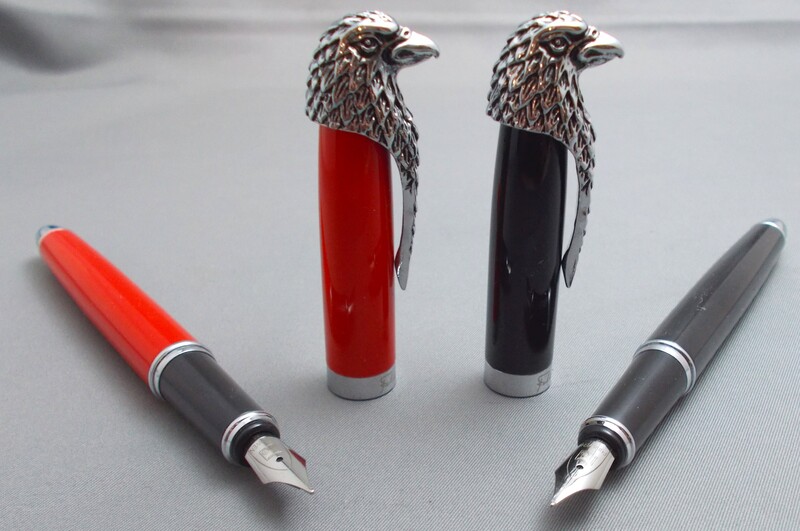 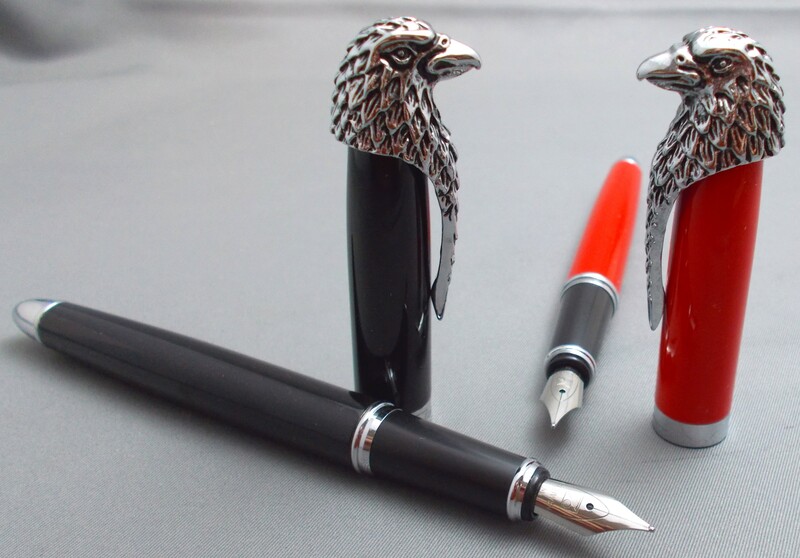 Leave it to a Chinese pen manufacturer to celebrate the 'American Eagle' (I'm not sure if it's a Bald or Golden eagle ), especially as I list this on July 4th! 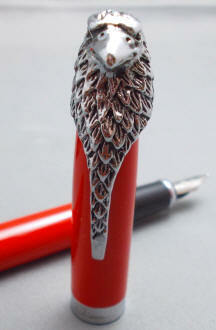 The Fuliwen American Eagle pen measures 5-3/4" capped, 6" posted and 4-7/8" with cap held aside. 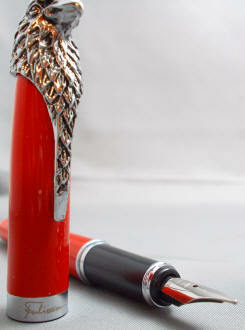 As it's of lacquer/paint over brass construction, it has a comfortable bit of weight to it. The eagle clip, which extends to cover the entire top of the pen, is really left to speak for itself. 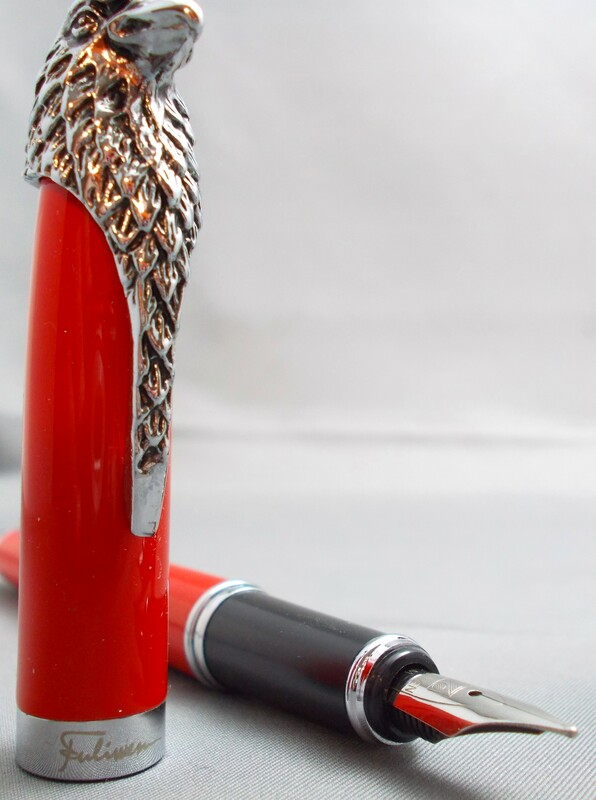 To say that this cap is pretty spectacular when clipped to a shirt pocket is a bit of an understatement. The only other adornment is the chrome end piece of the barrel and the chrome cap band, with a simple script 'Fuliwen'. 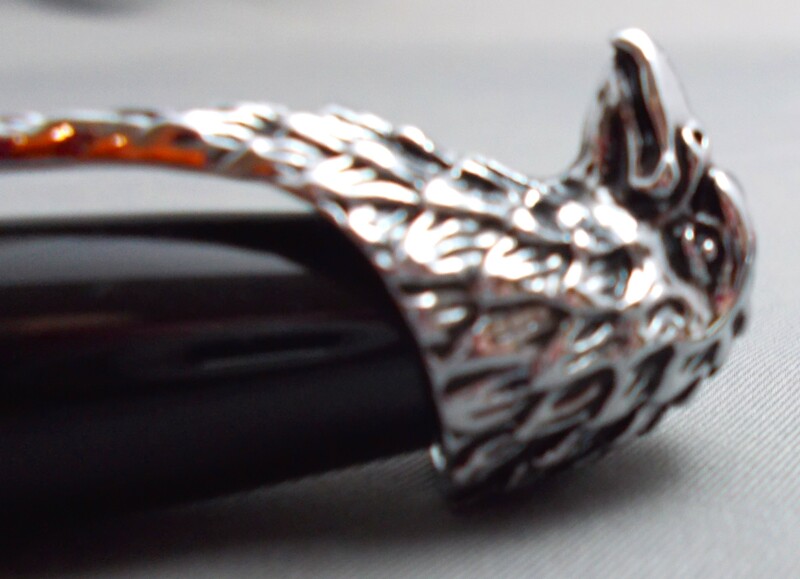 The slip cap snaps securely back in place and friction posts to the barrel's end. 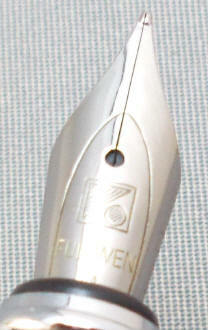 Removing the cap reveals a black gripping section and a monotone steel nib marked 'M'. 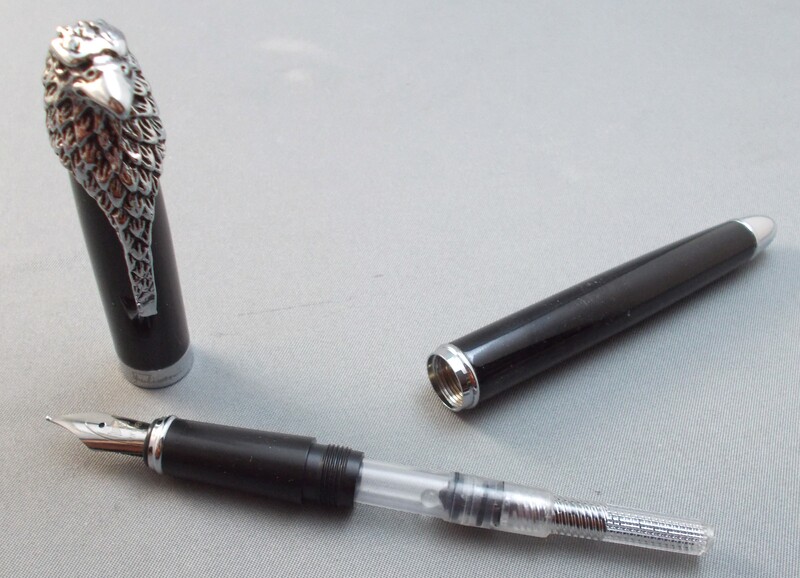 However, as with most Asian nibs, I would describe the nib as closer to a western fine. 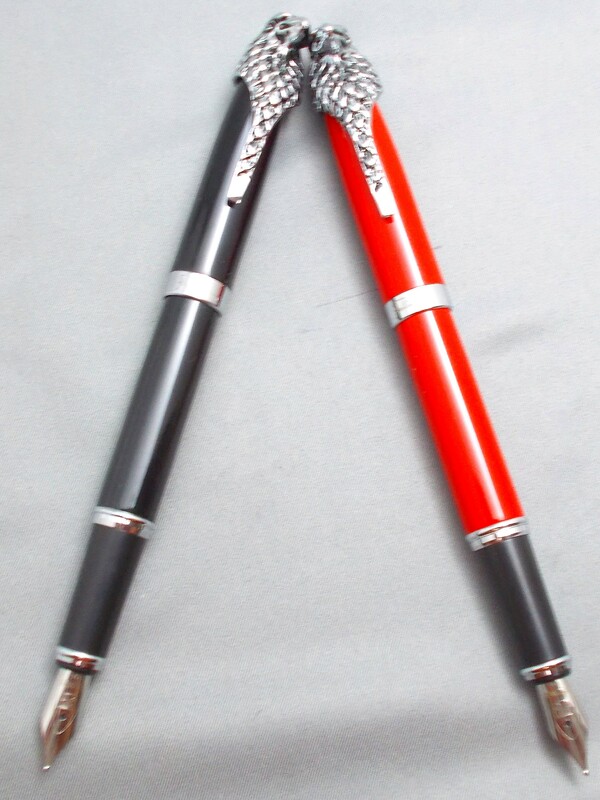 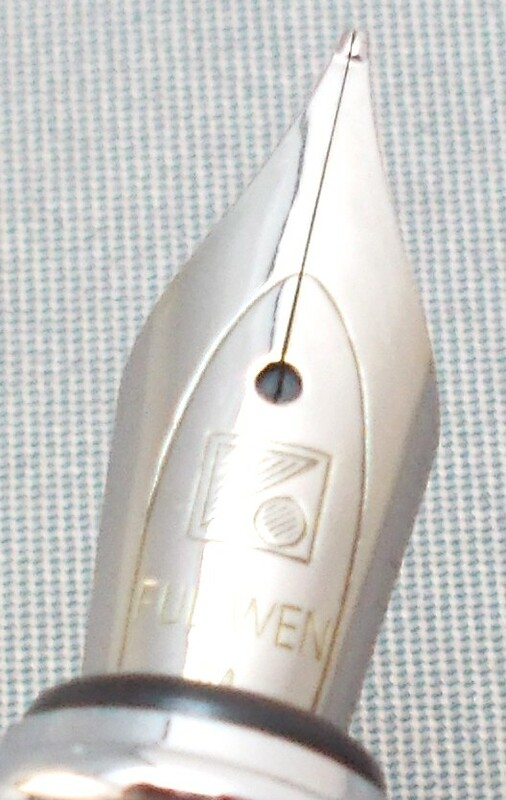 The nib is adorned also with 'Fuliwen', as well as their logo.